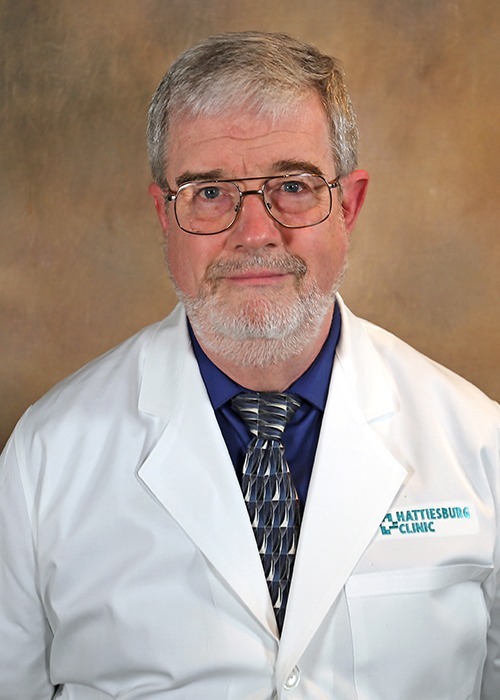 Roy R. Reeves, DO, is a psychiatrist at Hattiesburg Clinic Psychiatry and serves as the clinical director at South Mississippi State Hospital in Purvis, Miss. Reeves received his medical degree from Kirksville College of Osteopathic Medicine in Kirksville, Mo. He completed an internship at Kirksville Osteopathic Hospital in Kirksville, Mo., a residency in psychiatry at University of Oklahoma-Tulsa in Tulsa, Okla., and a residency in neurology at University of New Mexico School of Medicine in Albuquerque, N.M. He is board certified in psychiatry by the American Board of Psychiatry and Neurology and in neurology by the American Osteopathic Board of Neurology and Psychiatry. His professional memberships include the American Psychiatric Association and the American Osteopathic Association. Reeves has special interests in geriatric psychiatry, dementia and cognitive disorders. At Psychiatry – Lincoln Center, he strives to provide optimal care for patients with psychiatric disorders and other related issues. Psychiatry – Lincoln Center offers psychiatric services for people of all ages. Our department provides a comprehensive review of medical, psychiatric, social, and family history to determine a patient’s treatment plan. Kirksville College of Osteopathic Medicine - Kirksville, Mo. Kirksville Osteopathic Hospital - Kirksville, Mo. University of New Mexico School of Medicine - Albuquerque, N.M.